The new school year is now underway! Wouldn’t you love the opportunity to get to know your child’s teacher and chat with them about goals you have for the new school year? Here’s your chance! 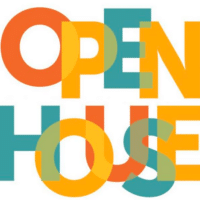 On August 19th we are hosting our very first Open House! For those who have been with us for many years you know of our famous summer bashes, we are going to have another bash to kick off the school year! Come by and let the kids play with their friends in the bounce houses, take a splash in the dunk tank, and you can enjoy the music, food and talk with the other families and the teachers! In order to ensure that every family and teacher is given the opportunity to take advantage of this time, WE WILL BE CLOSING AT 5:30 PM! Please make arrangements so that you will be able to participate at this time.